Which is your favourite film starring Gregory Peck from the following? Is Gregory Peck in your 'Top 10' list of actors? Did anyone find Gregory Peck's role in the Boys From Brazil creepy/scary? Most memorable part played 의해 Gregory Peck? a pop quiz question 추가되었습니다: True 또는 False: Mary Badham, who played Scout in "To Kill A Mockingbird", called Gregory Peck 'Atticus' throughout their lifelong friendship. a pop quiz question 추가되었습니다: In 1966, Gregory Peck narrated a documentary about a US president. Which one? 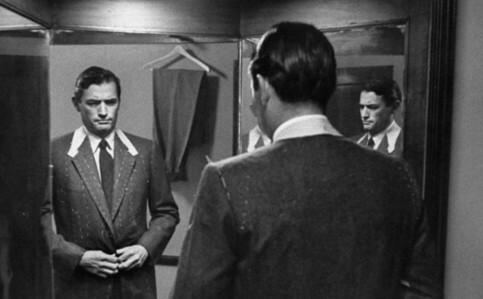 Fill in the blank: "The Man In The _____ Flannel Suit"
Gregory Peck 팬 club - awesome!